​​​​​​Born in Aargau, Switzerland, Joseph Meierhans came to America in 1917 and lived in Allentown, Pennsylvania before settling in Bucks County, PA. Meierhans was a prolific artist having produced many abstract paintings during his lifetime. He studied in New York at the Art Students League with Karl Knaths, John Sloan and later with A. N. Lindenmuth. He became a member of the Society of Independent Artists, the Provincetown Art Association, the Lansdale Art League, and the Lehigh Art Alliance. 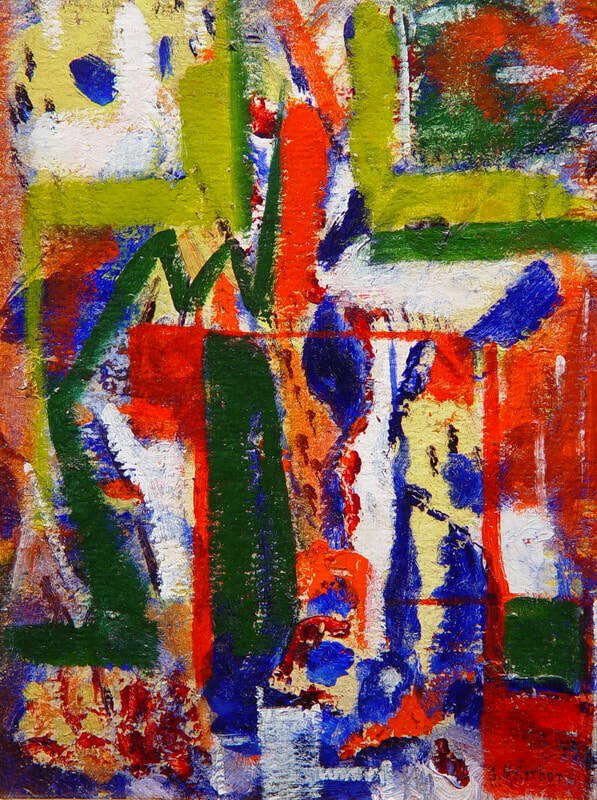 He was also a member of American Abstract Artists, an important avant-garde group founded in New York in 1936. Meierhans exhibited at the Whitney Museum of Modern Art, The Penn. Academy of Fine Arts, the Society of Independent Artists, the Salons of America, and the Art Institute of Chicago, to name a few.